Lately I've been noticing a big shift towards Instagram marketing and tons of people are hopping on-board, and that's great! As a guy who's done quite well on Instagram, I think it's awesome that marketers are finally realizing the potential there; but sadly these marketers are making a crucial mistake. They're getting shiny object syndrome, and falling into the trap of slick marketers peddling them over-priced Instagram toys. I see people fawning all over Instagram bots like they're something new. Well I've got news for those people; Instagram bots aren't new, and most of the ones being sold today are a rip-off. They're way over-priced and they break constantly. Even worse, the support is typically horrible (from the complaints I see all over Facebook). Now I'm not here to bash any specific one (there are many), but I am going to give you a much cheaper and more effective solution to your Instagram automation addiction. Before I tell you what it is though, I'm going to tell you what it's not. It's not a SaaS (it runs on a Windows computer, a virtual Windows environment, or a VPS/dedi). It's not a push-one-button solution. It's not a junky little plastic piece of crap, like the bots that are hot right now. 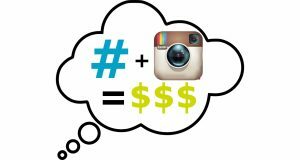 Instead it's an incredibly powerful and complex piece of software that automates every social media platform you can think of, including Instagram; and guess what, it costs less than half the price of what those other Instagram bots costs. No catch. No gimmick. The only reason you've never heard of it is because it was built by programmers. Not marketers. Very very good programmers. Lucky for them, I'm a marketer, and after using their automation software for over a year now I can confidently say that it's the best-supported, and best functioning Instagram bot on the market. In fact it's one of the best supported pieces of internet marketing software that I've ever used. Now, like I said Jarvee is complex. What I mean by that, is that it has a decent learning curve, but lucky for you, if you buy it through my affiliate link I'll give you my Instagram Empire course for free. The 2 hour video course shows you over-the-shoulder how to use the software to grow unlimited Instagram accounts on complete auto. 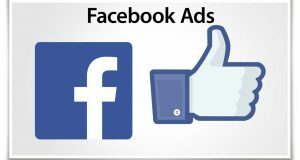 I'll show you how to find a niche if you don't have one, do proper research, and setup accounts to run for months posting and engaging automatically. I can pretty much guarantee that with Mass Planner, and the course, you'll be getting 1000's of followers per month as long as you pick a viable niche. The account I created in the course is already at almost 25,000 super engaged, and super targeted followers in the cat niche. I never really planned on giving away the course for free, but I'm just so sick of people bitching about how they've had a terrible experience with Jarvee's competition. So if you run a legit business and want a solid, consistent piece of software. Buy Jarvee. After you purchase a plan, contact me and I'll send you that link to my course (your bonus for buying through me). The best Instagram automation software on the market! 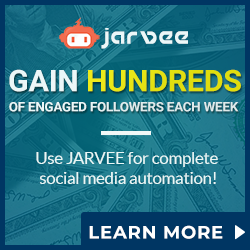 Summary : Jarvee is the most powerful Instagram automation software I've ever seen. It has a bit of a learning curve, but once setup you're accounts will grow like wildfire with almost no effort.